This traditional "farmhouse Windsor" is made of solid wood and features lath back slats and turned legs with ball feet. 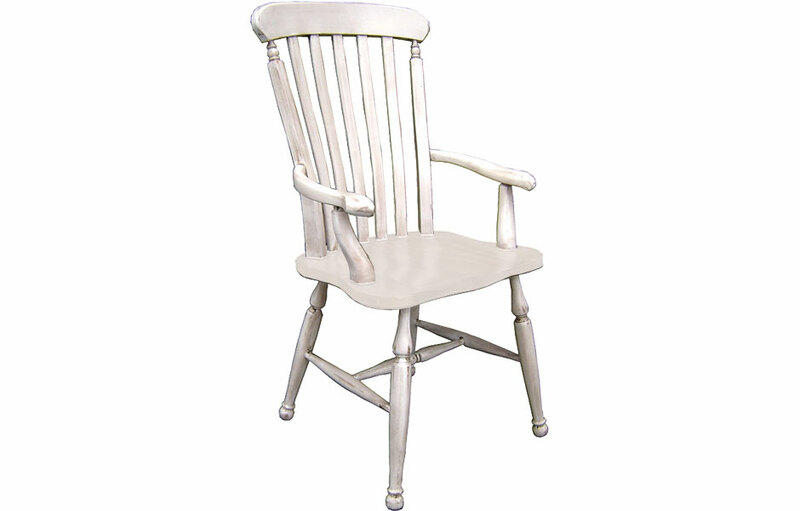 This country chair is ideal for everyday use with a comfortable, molded 18" wide seat. Available in Side or Arm styles with wood seat. 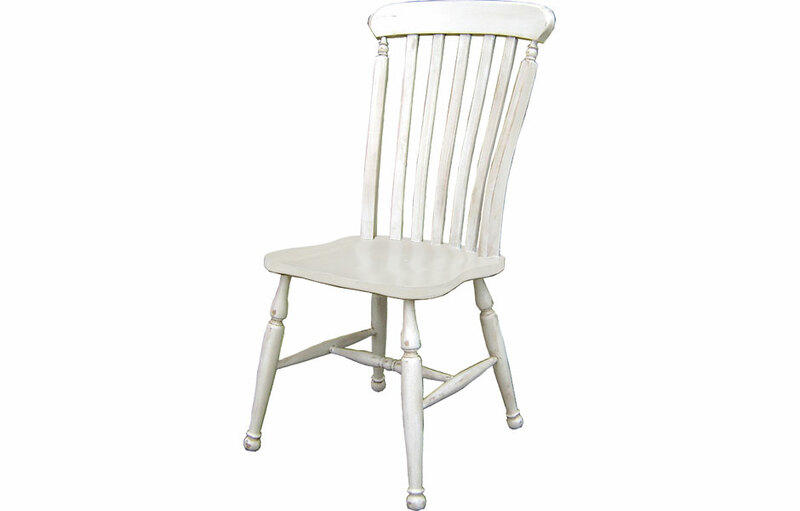 The Farmhouse Lath Back Chair is classic, very popular French Country chair known as a "farmhouse Windsor." 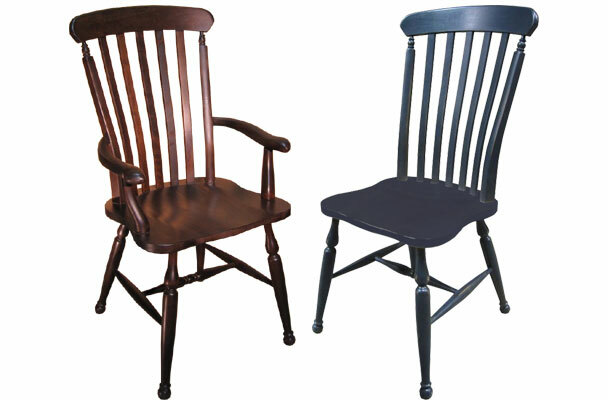 The chair's classic style appealled to country cottage homeowners throughout Europe who were seeking strength and durability from a Windsor chair. Our chair has the classic sloped, slat back for comfort, paired with simple mushroom and ball turned legs for a modern country feel. The five lath back slats provide strength, and the molded seat is designed for comfort for use without a cushion. This farmhouse Windsor has mass appeal because it is a throwback to the comb back Windor style with added strength ideal everyday use. 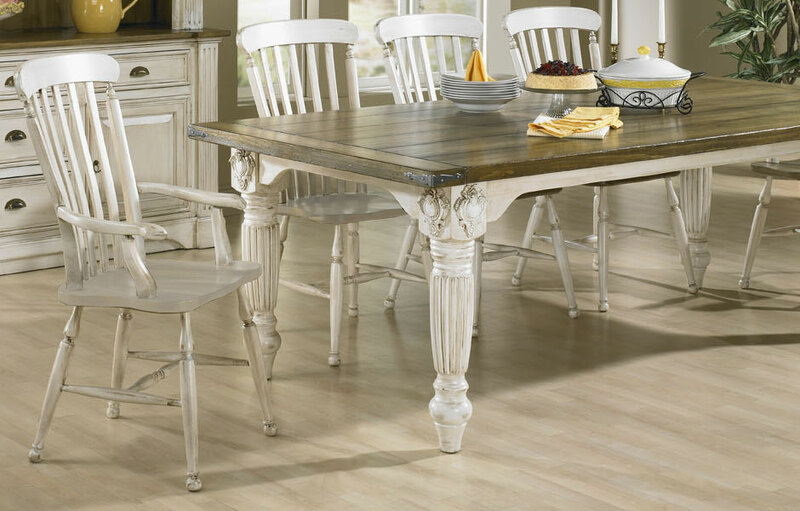 It's beloved for it's tall stature at a farm table, and elegance when combined with a French Provincial table. 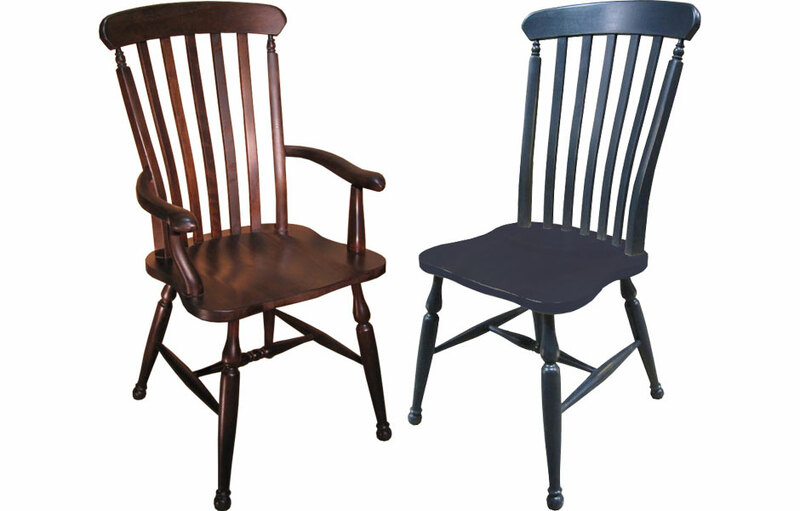 The lath back chair is available with a molded, contoured wood seat. The farmhouse chair can be finished in an all-over stain or paint. This Farmhouse Lath Back Chair complements French Country, English Cottage, Farmhouse, Rustic, Transitional and Traditional style decors.